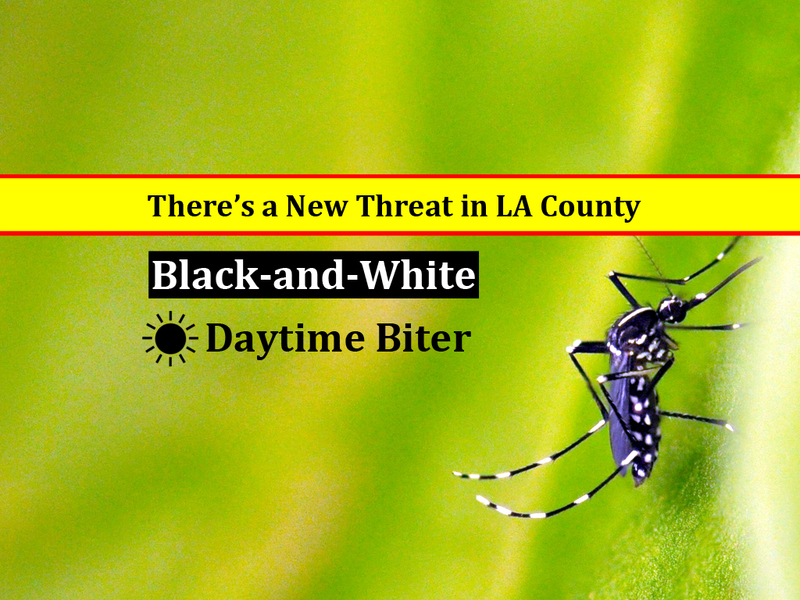 In the Targeted Yellow Fever Mosquito Control Program, Vector Control will release male yellow fever mosquitoes (Aedes aegypti) in a localized area of East Los Angeles. These male mosquitoes are dusted with a small amount of an insect growth regulator (IGR) called pyriproxyfen, which prevents mosquito larvae from maturing to adults. The released males will mate with wild female yellow fever mosquitoes in the infestation zone and transfer some of the dust to the female in the process. When the treated female lays her eggs in water-holding containers, she deposits some of the dust into the water. Larvae will hatch from the eggs, but the offspring will not survive. Dusted male mosquitoes will also transfer the IGR to water sources they visit. This pilot program will determine how effective this novel strategy will be in the District’s overall Invasive Aedes Mosquito Control Program. This technique targets the yellow fever mosquitoes (Aedes aegypti). According to the CDC, there have been reports of a correlation between microcephaly and Zika virus. Travel advisories are in effect for many countries in the Americas due to widespread Zika outbreaks. Get the latest information from CDC.